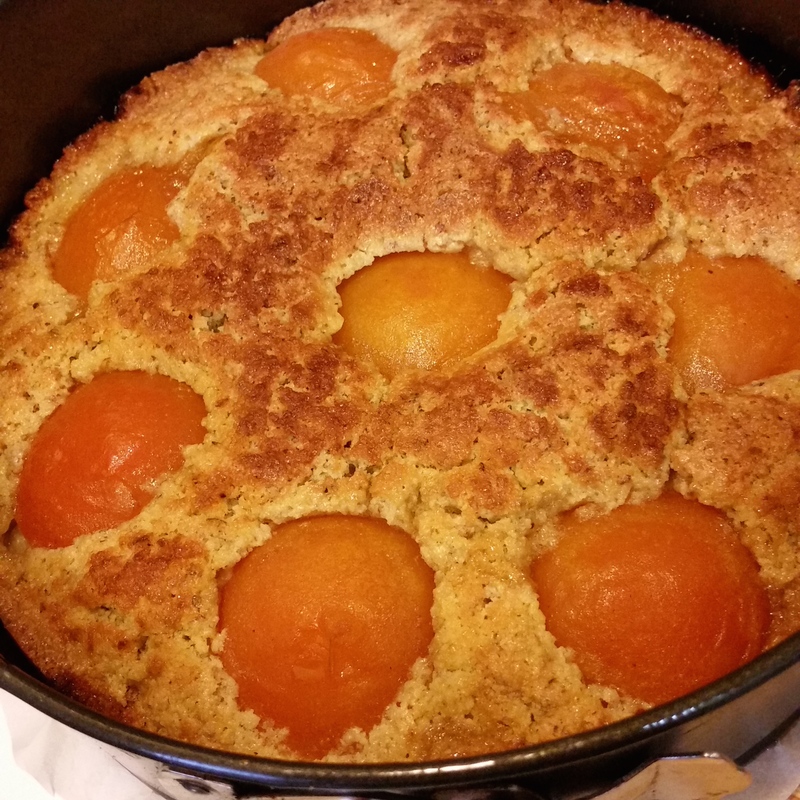 I’ve been experimenting with my favourite pudding cake recipe to showcase Augustines of Central preserved apricots. Augustines of Central apricots are stocked in Auckland in the Fine Food section of Auckland’s Smith and Caugheys department store. 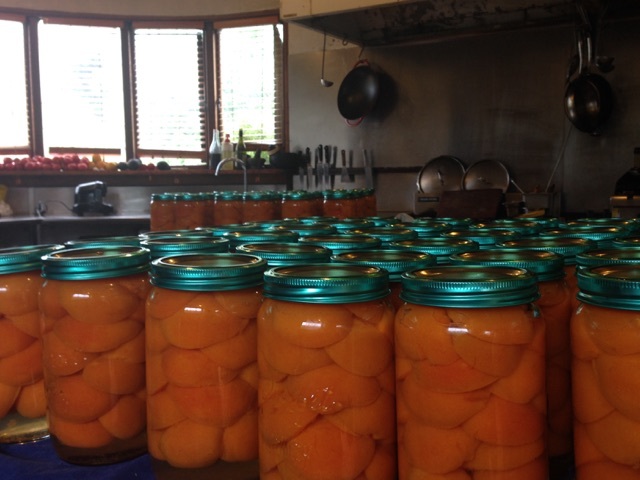 Our son Gus is the producer of these perfect preserves and he gave me a challenge recently. Could I find a good cake recipe for his apricots? Gus is an excellent chef but really cakes are not his specialty. 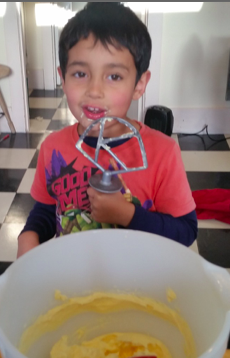 He was never the one hovering around the cake mixer as a child. First up I tried a rustic cake recipe from Nigel Slater that Gus suggested. It was good sized cake but I felt the apricots were a little lost in the cakeyness. So I turned to my often used Almond Pudding Cake recipe from Hugh Fearnley-Whittingstall’s “River Cottage Everyday”. It’s a light cake with a higher ratio of fruit to cake. A pudding cake can be served warm as a pudding or dessert with cream, custard or yoghurt, or cut up cold with a tea or coffee. The original recipe uses sweet dessert apples that keep their shape. 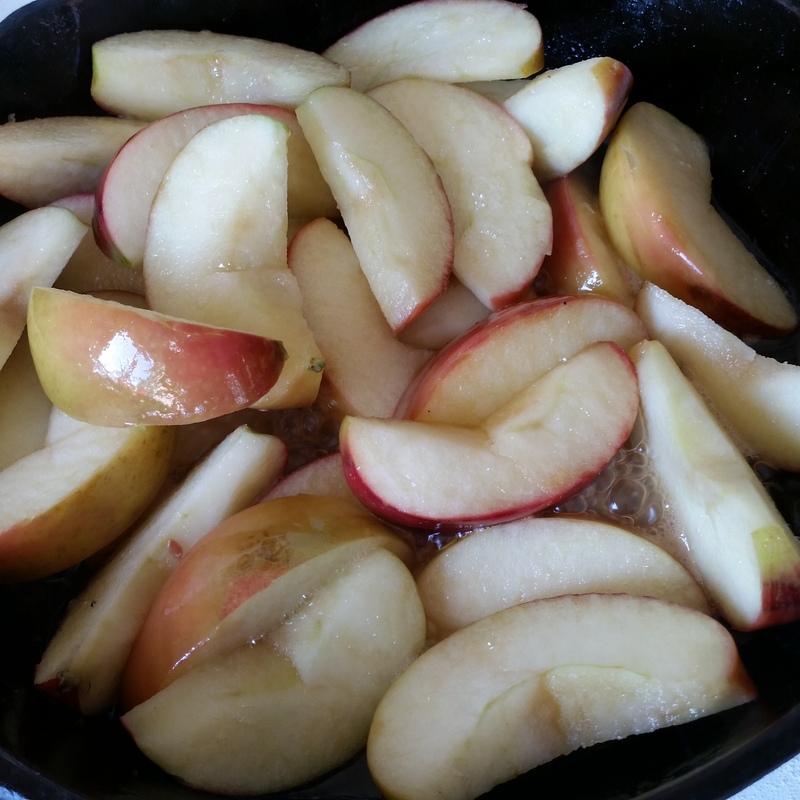 (Cooking apples or tart apples have too much malac acid to keep their shape). I have used pears and they work really well so try some of those sweet Winter Nelis pears featured in my previous post. 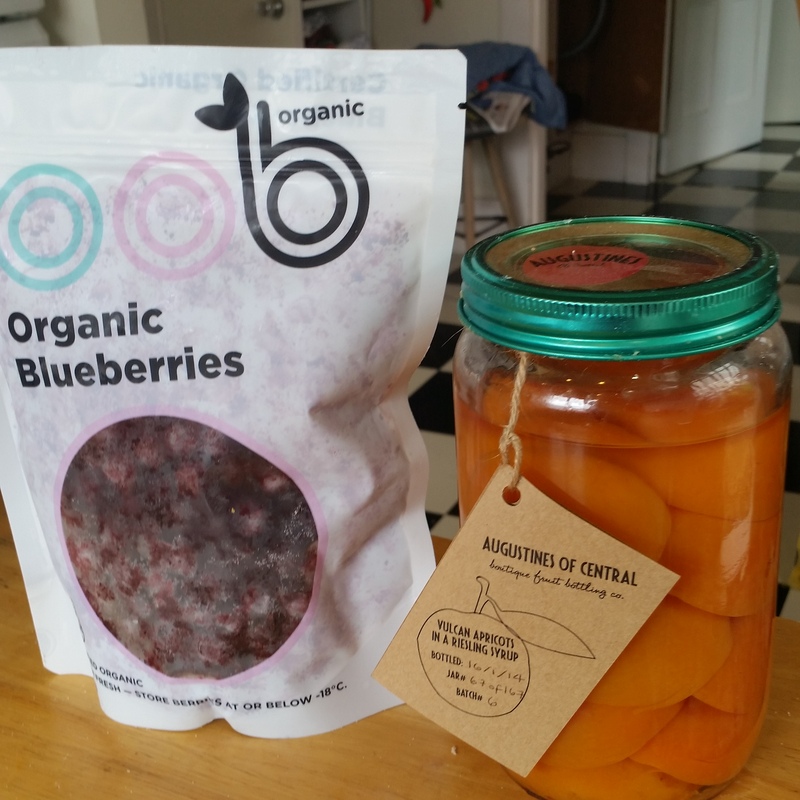 I used OOB organic blueberries from Omaha north of Auckland. 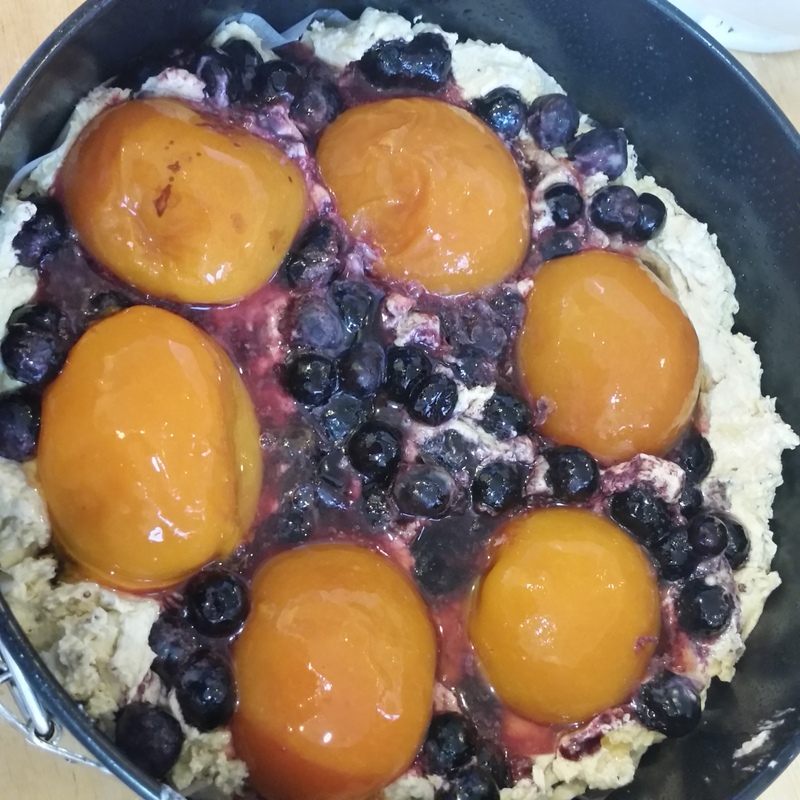 My first experimentation with the Almond Pudding Cake recipe was to use Gus’s suggested combination of blueberries and his apricots. I liked this idea for three reasons. First, using two summer fruits preserved in time, one quick frozen and the other in a preserving jar. 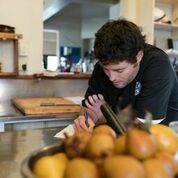 Second, using fruits from two ends of New Zealand – north of Auckland for the blueberries and Central Otago for the apricots. Thirdly, the colour combination is gorgeous. I decided to make this cake again to take to our community garden‘s work day shared lunch to get some feedback. 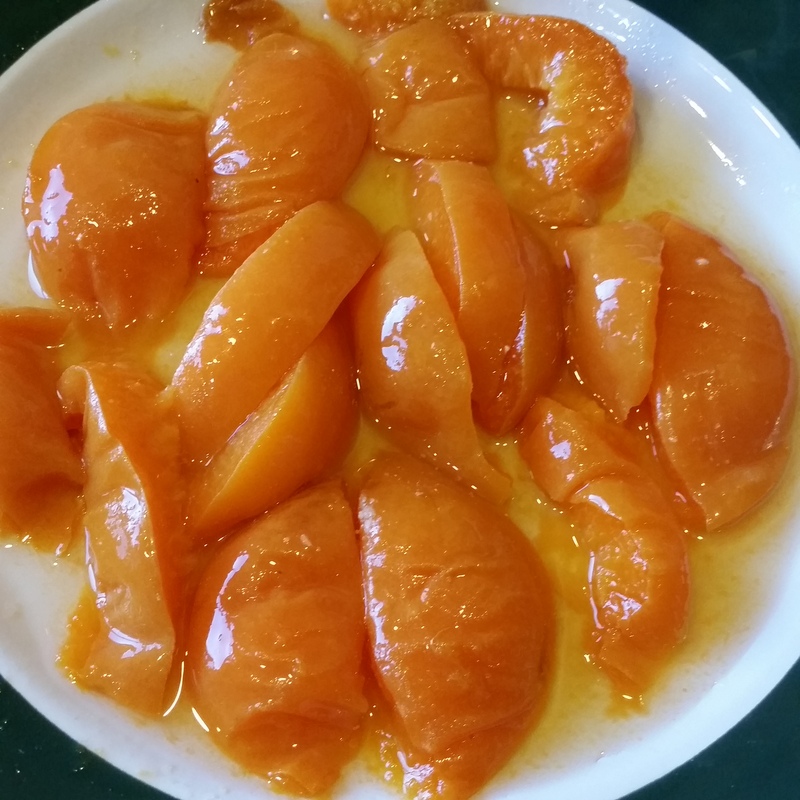 This time I cut up the apricots to ensure everyone would get some apricot and to make it more like a cake than a pudding. I got a great response from my fellow gardeners but I felt it didn’t really need the blueberries. The apricots could stand on their own. 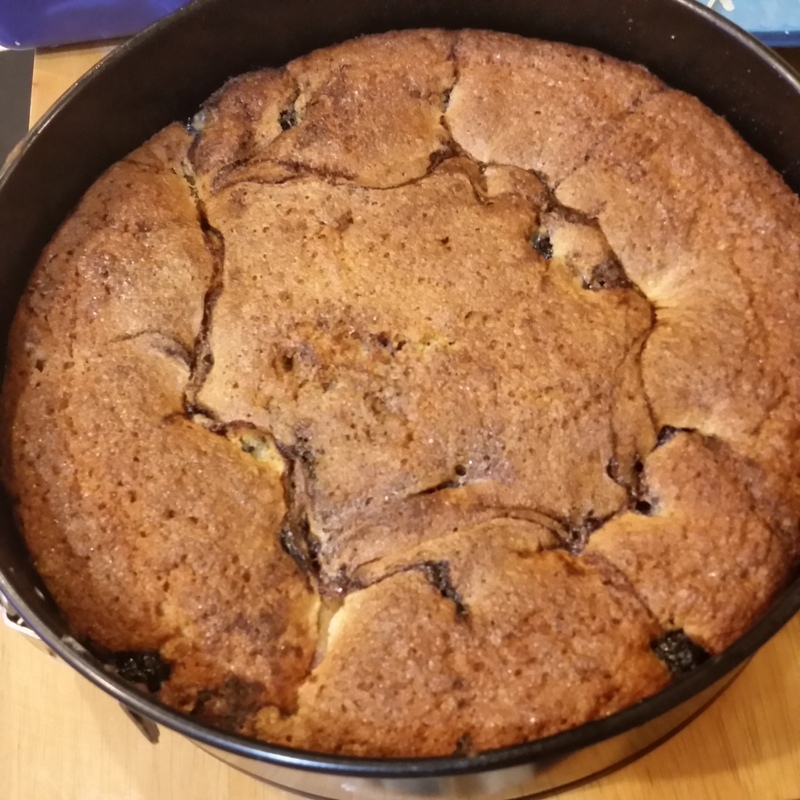 So too could the blueberries work solo as a feature fruit in this Almond Pudding Cake. 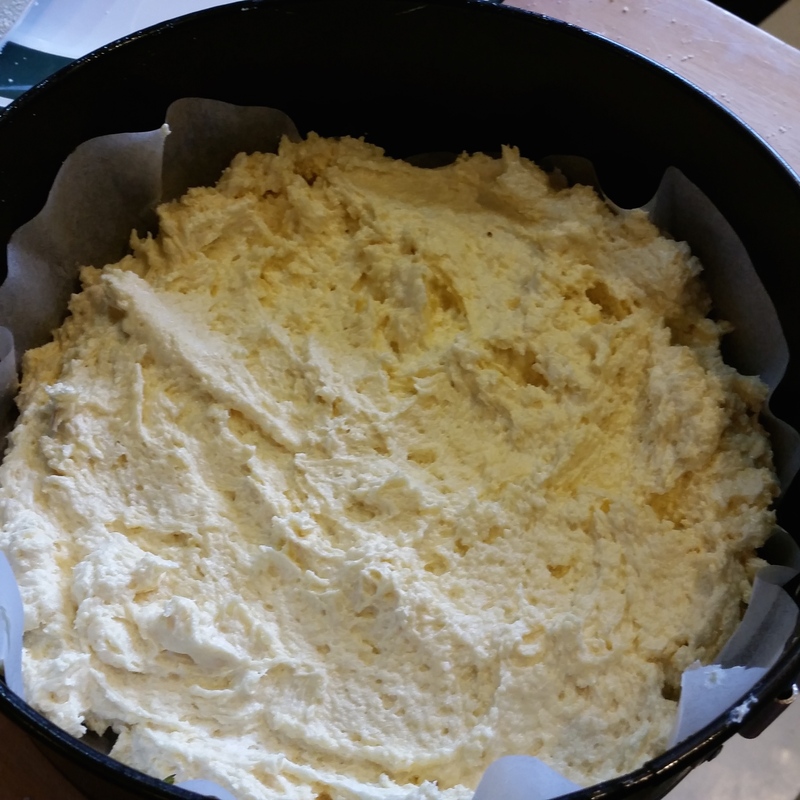 This cake recipe is for a 20 cm springform cake tin, but as I only have a 22 cm tin so used that. It still works but the cake doesn’t reach quite the height it would in a 20cm tin. It comes out a little more like a flan which is fine for a dessert. Grease your tin and line the base with baking paper and preheat the oven to 170°C. 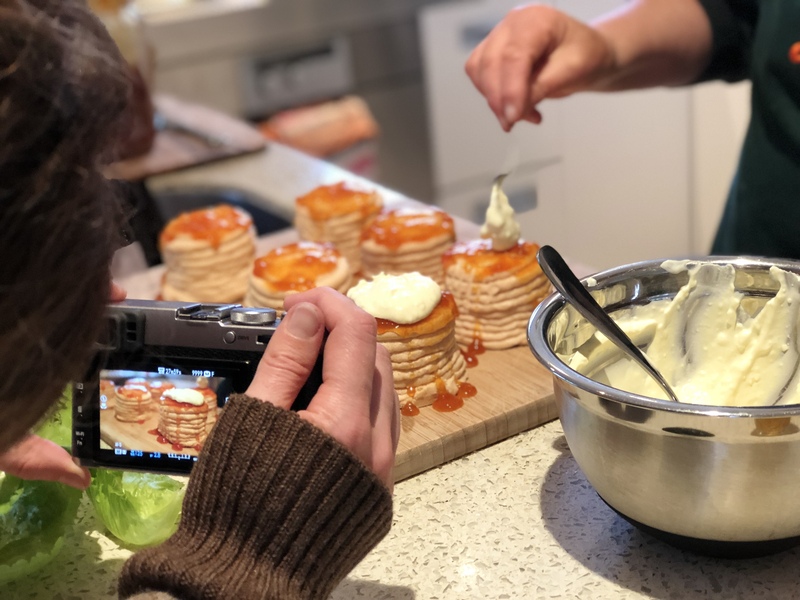 To save time and effort just place the apricots on top without the caramelising as unlike the apples the apricots are already cooked. But I enjoyed the extra sweetness as the apricots are lovely and tart and the caramel does create a rich coloured crust. If using other fruits than the apricots like the original apples you will need 3-4 apples or pears, or around 1½ cups of frozen berries. It’s also an option to add a little cinnamon when caramelising the fruit. Sift the self raising flour, keeping aside 1 Tbsp of flour and then mix in the ground almond or almond meal. The almond meal is made from whole almonds not blanched ground almonds. It’s important to beat really well the butter and sugar until the sugar almost melts. 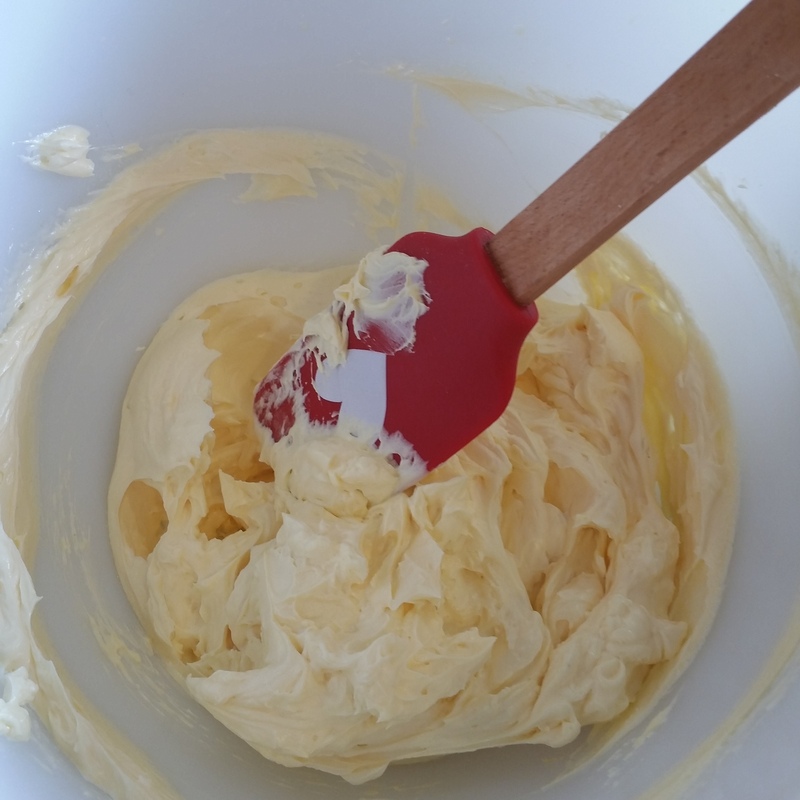 The secret is to just soften the butter so that it will cream or fluff up. If too melted it will become a sugar slurry. Many a time I have left the bowl in the oven too long. 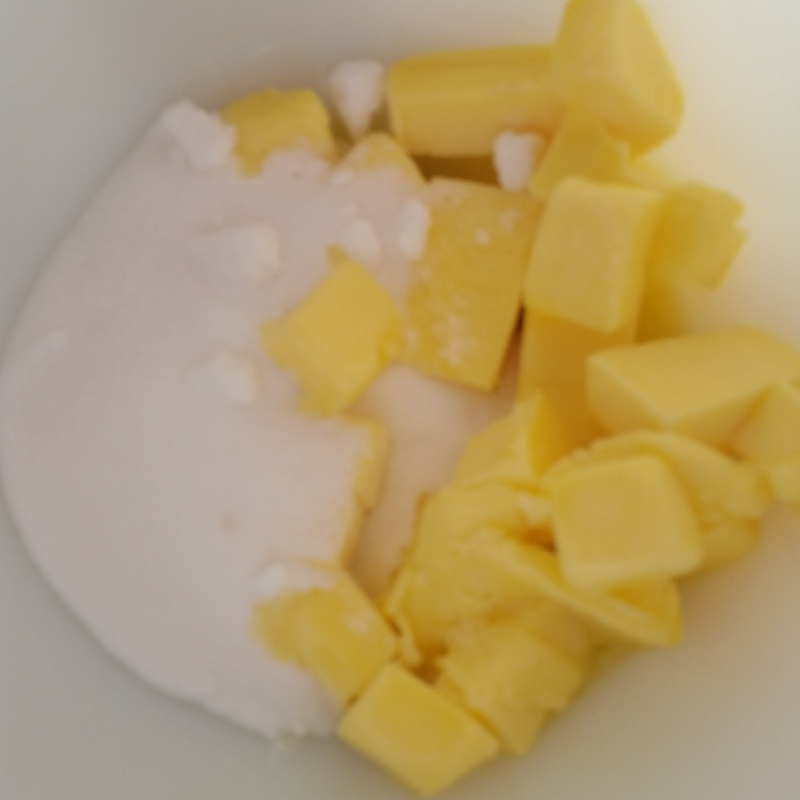 You can fix this by quickly taking out the butter and sugar from the hot bowl and throw into the freezer for around 10 minutes and then repeat the beating process. It’s much easier to use a cake mixer, but you can opt for a bit of a workout and beat with a wooden spoon. Add the eggs one at a time. To prevent curdling add 1 Tbsp of the flour measurement with the second egg. This creaming process will ensure your cake is light, as will sifting the flour. The final step is to fold in the dry ingredients. It’s important you fold rather than stir or beat to keep the mix light and airy. 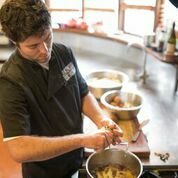 My little kitchen helper, Beau, filmed me demonstrating this action. One of the perks helping with baking for Beau is getting the opportunity to lick the mixer. Spoon the cake evenly into the prepared tin. It’s best to start the caramelising while making the cake to ensure the cake goes into the oven quickly. 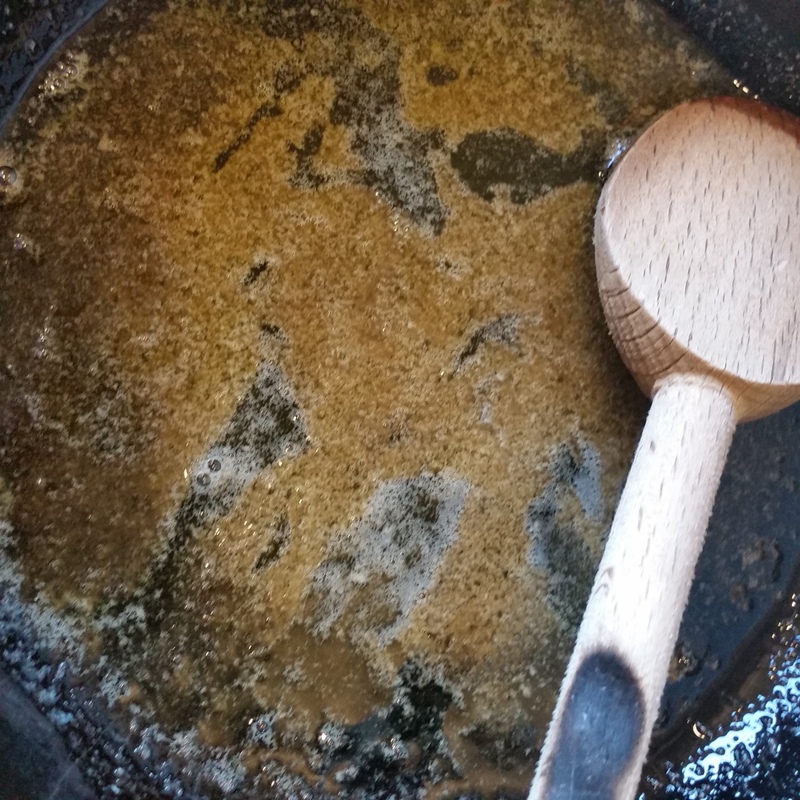 Melt the brown sugar and butter in a heavy pan and let it sizzle to caramelise a little. Then add your fruit. I put the apricots cut side down and only for a minute or two. The apples and pears need to partly cook for about 5 minutes. Keep the pan moving so that they don’t stick. Now it’s time to place the fruit on top of the cake mix. The apple and pears I would do as Hugh suggests and slightly dig them into the cake mix so that they are in the middle of the cake. I prefer to just place the apricots on top. The cake will rise around them but it’s nicer to see a glimpse of their colour on top of the cake. Pour over the caramelised juices and bake for around 50 minutes at 170°C. Be guided by the smell – if you can smell it, the cake is probably getting ready – but to make sure test with a skewer into the centre to see if it comes out clean. Another indication that it’s cooked is when it begins to shrink from the edge of the pan. Augustines apricots on the production line. 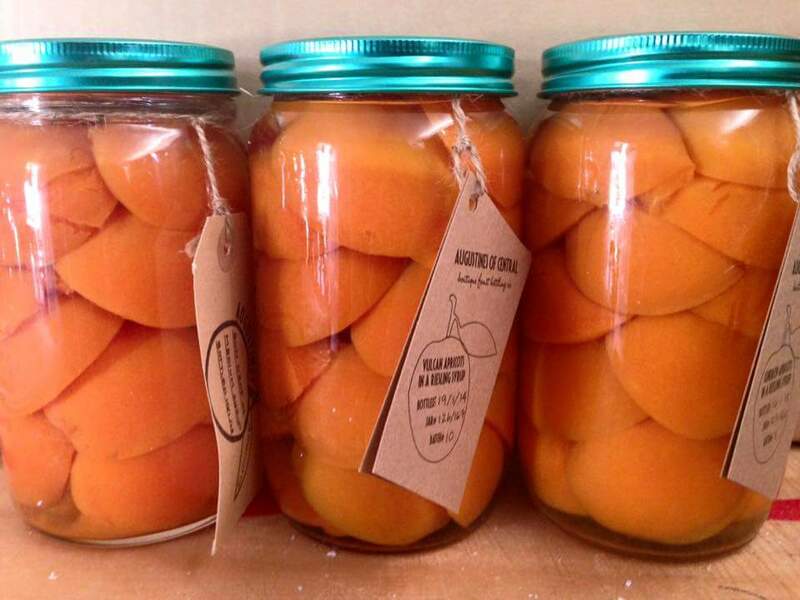 Preserved apricots contain as much vitamin A, antioxidants and minerals as a fresh apricot Unripe fruit will only have half the vitamin A compared to a ripe apricot. 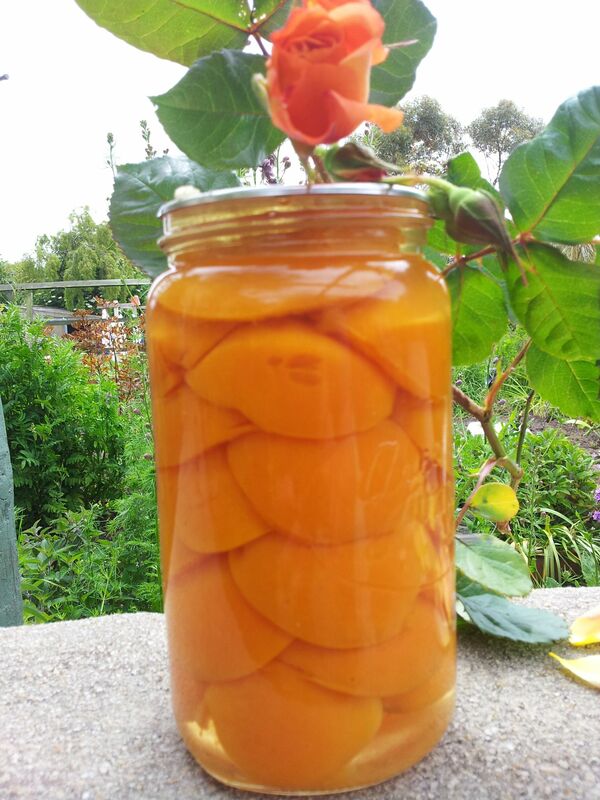 All of Gus’s apricots are tree ripened so by staying on the tree longer Augustines of Central preserves will have maximum vitamin A content. There is nothing more delicious than a tree ripened apricot and as a fresh fruit it’s a low calorie fruit with loads of nutrients including vitamin C and soluble fibre. But it’s not easy sourcing sweet fresh apricots. 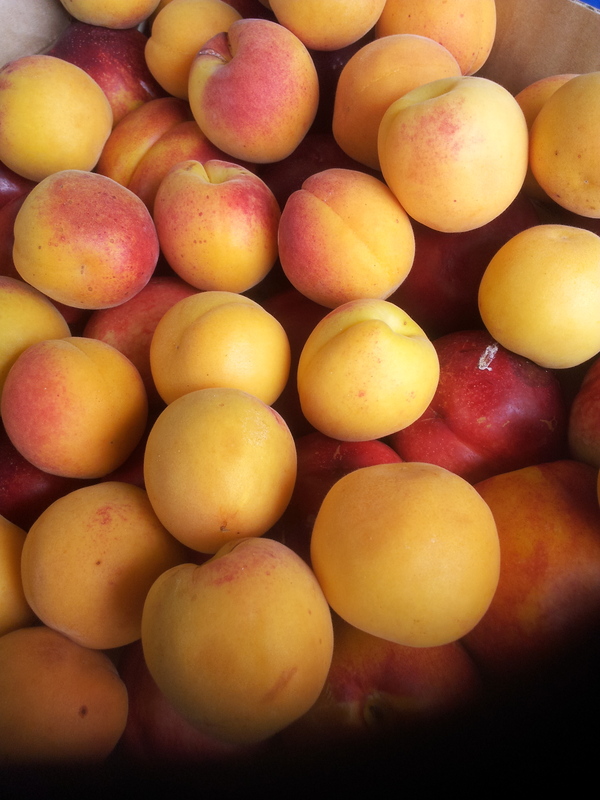 The best apricots in New Zealand come from Central Otago and Hawkes Bay and to get the best, you need to buy from roadside stalls or the excellent Hawkes Bay Farmers Market in Hastings every Sunday or Otago Farmers Market in Dunedin every Saturday morning over the summer. Not that most of us have to be persuaded to eat an apricot as they are delicious. But it’s interesting that apricots, raw, cooked or dried, are particularly good for improving eyesight especially for those of us with ageing eyes who spend a lot of time in front of screens being exposed to harmful blue light. I’ve succeeded in my small challenge to find a cake recipe to complement Gus’s preserved apricots. It’s also a recipe that will work with any seasonal fruit. Gus has a much bigger challenge ahead. He has to source more Central Otago spray free orchards because his 2015 stock has already sold out and more stockists are lining up to stock Augustines of Central in 2016.